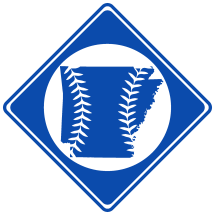 The Fayetteville Educators were a minor league baseball team based in Fayetteville, AR in the 1934 Arkansas State League. Cliff Shaw was both a thirdbasemen and president of the Club until July (1). On April 26th, the Fayetteville Daily Democrat listed the roster of the club with hometowns of the club. The players listed may or may not have actually played a season game with the club.